I create brands and then visually extend them everywhere — from marketing to shelf. As an Art Director for half of my career, I've successfully taken many brands from infancy and grew them from their initial mark and personality to how they lived in print, packaging, in store and online. Whether you're starting from scratch, need a refresh or companion marketing, I can help you reach your goals at any stage. Good design looks pretty. Great design communicates vision and solves practical problems. So what's my process, you ask? I don't just point and click my way through to a design. 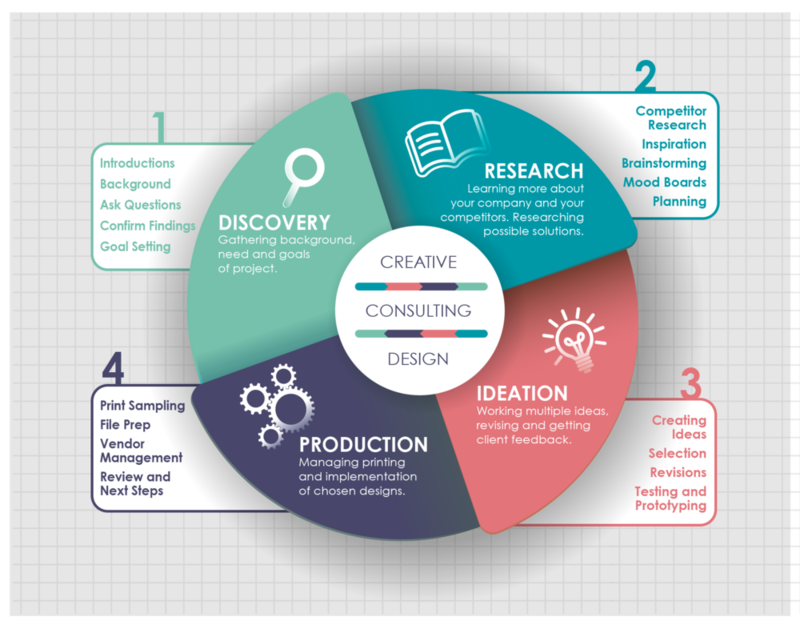 I work with you in the creative process to a solution and toward your goal with clear direction, professional guidance and purposeful design. I approach every creative problem with this proven process.